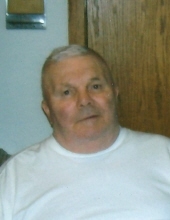 Duane E. Johnson, age 91, of Cornell passed away Tuesday, February 5th 2019 at the Cornell Care Center. Duane was born on July 19th, 1927 the son of Eugene and Elsie Johnson. He farmed in the town of Estella on the family farm. He also worked at Peavey’s Papermill and Presto. He loved fishing, family, and neighborhood get togethers. On May 28th, 1949 Duane married Dorothy Chmelik at the Drywood Church. Duane was a member of the Holy Cross Catholic Church in Cornell. Duane is survived by his wife of 69 years Dorothy; 3 daughters – Lin Bruyette, Dorothy (Charles) Schroeder, and Candace (Dan) Pecha; 11 grandchildren; several great & great great grandchildren; also 1 sister – Virgene Briggs. He is preceded in death by his parents, his son Bill Johnson, and 5 sisters. A celebration of life will be held at 1:00 P.M. on Friday, February 8th, 2019 at the Borton-Leiser Funeral Home with Deacon Dennis Rivers officiating. Inurnment will be at St. Joseph’s Cemetery in Holcombe at a later date. Visitation will be from 12:00 P.M. until the time of service on Friday at the funeral home. To send flowers or a remembrance gift to the family of Duane E. Johnson, please visit our Tribute Store. "Email Address" would like to share the life celebration of Duane E. Johnson. Click on the "link" to go to share a favorite memory or leave a condolence message for the family.